After the Second World War (1939-1945), things began to change in the then Gold Coast. The discrimination against educated Ghanaians in the civil service was on the increase and high positions were reserved for white men while Ghanaians became "hewers of wood and drawers of water". The European and Asian firms were also seriously exploiting the Africans. The Ex-servicemen (Ghanaian soldiers who fought in the World War), helped in another way to expose the weakness of the British. On June 12th, 1949 Kwame Nkrumah formed a radical nationalist party - Ghana's Convention People’s Party (C.P.P) with its motto "self-government now". He was joined by Kojo Botsio, K.A Gbedemah and others. On 9th January, 1950 the C.P.P organized a nation-wide boycott and strike for workers and the masses. The people refused to buy all British goods. Workers were warned not to cause any trouble. In the cause of the riots however, two policemen were shot dead. On January 21st 1950, Nkrumah and other leading C.P.P members including Kojo Botsio and K.A. Gbedemah were imprisoned at the James Fort Prison, Accra, on charges arising from pursuing what was termed as "Positive Action" against the Government. The imprisonment of Nkrumah made him a hero and martyr in the eyes of the people. In 1951, the pace was set for general elections. Kwame Nkrumah was in prison when the elections were conducted. He overwhelmingly won the elections and was released by the then Governor, Sir Charles Noble Arden-Clark to head the new government. This however became the British Colony’s first African government. 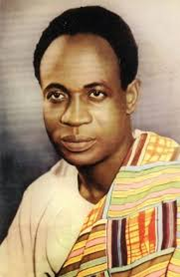 In March 1952, Kwame Nkrumah was designated Prime Minister. He was to appoint a cabinet, which was not to be responsible to the Governor but the Assembly.Kwame Nkrumah in June 1953 submitted proposals for a new constitution. It was upon those that the April 1954 constitution was introduced making the country virtually self-governing. This new constitution provided for an All-African cabinet from an enlarged legislature. A general election followed in June 1954 from which the C.P.P won 79 out of the 104 seats of the National Assembly. In 1956, another election was held in response to a pledge by the British Secretary of State for the colonies that if the newly elected legislature, by a reasonable majority, passed a resolution calling for independence; a firm date for the changeover would be announced. C.P.P won 71 out of the 104 contested seats. The British Mandated Togoland also held a plebiscite to join the Gold Coast. 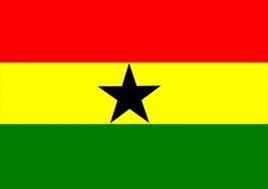 This action opened the way for Ghana’s Independence and on 6th March, 1957, the curtain was drawn on the old order. The country emerged as the first country in Africa, South of the Sahara to regain independence from colonial rule. A new chapter was opened in the history of Ghana. On the eve of Ghana’s independence, Kwame Nkrumah (then Prime Minister) proclaimed at the old Polo Grounds in Accra: "At long last, the battle has ended and Ghana, our beloved country is free.